If your cardiologist didn’t prescribe zinc during your last office, he/she should have. It turns out there is more evidence that maintenance of zinc levels reduce mortality rates for coronary heart disease than there is proof that statin cholesterol-lowering drugs save lives. Efforts to halt or reverse atherosclerosis, defined as hardening and narrowing of the arteries, ignore the fact zinc and copper play a primary underlying role in maintenance of arterial health. Statin drugs, introduced in 1987 (Mevacor), artificially lower circulating levels of total and LDL (low-density lipoproteins) by 20-63% and are reported to increase HDL (high-density lipoproteins) by 5-15%. HDL cholesterol is called reverse cholesterol because it transports cholesterol out of artery walls and back to the liver for disposal. 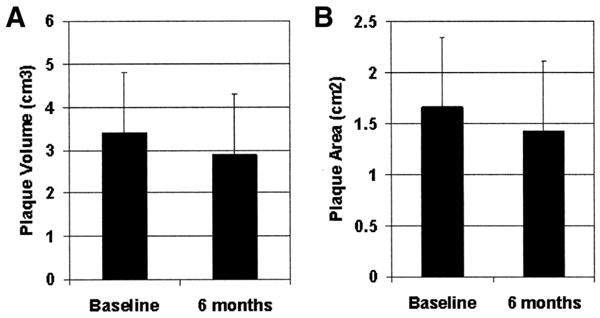 The reduction of arterial plaque accomplished by statin drugs is slow. Over years of time plaque volume is reduced. But the patient at high risk for a heart attack is falsely led to believe a statin drug will immediately save their life. Frankly there is more convincing evidence that a shortage of zinc raises cardiac mortality rates while cholesterol reduction has a null effect in preventing cardiac death, though statin cholesterol-lowering drugs do prevent non-mortal heart attacks. By ignoring the importance of zinc and treating atherosclerosis as if it is a statin drug deficiency, it appears modern cardiology has been side tracked for the past 40+ years. That was 12 years prior to the introduction of the first cholesterol-lowering statin drug (Mevacor in 1987). A polarized view of what causes atherosclerotic arterial disease emerged. By the summer of 2003 researchers wanted to put the argument to bed. They tested the upper safe limit of zinc, 40 milligrams per day in male adults. Study participants were given a 30 milligram zinc tablet + 10 milligrams of estimated zinc from the diet for 14 weeks followed by the addition of 3 milligrams a day of copper for 8 more weeks. These subjects were compared against a group that took an inactive placebo pill. No effect of zinc supplementation was found on copper status or cholesterol metabolism. [Biology Trace Element Research Summer 2003] Hopes of employing zinc therapy for atherosclerosis were dashed. The oxidation of LDL particles describes the initial step of atherosclerosis, which damages the internal lining (endothelium) of the arteries. This initial injury triggers inflammation and an immune response with arrival of white blood cells (monocytes and T-lymphocytes) that increase blood-clotting tendencies. White blood cells called monocytes that adhere to the surface of the endothelium are transported into the arterial wall and convert to another type of white blood cell called macrophages that release inflammatory factors within the vessel walls. High circulating levels of LDL and low levels of HDL are independent predictors of atherosclerosis. For each 30 mg/deciliter decrease in LDL(c) confers with ~30% relative decrease in coronary artery disease risk. Low blood serum zinc levels are associated with atherosclerosis. Zinc supplementation has been found to reduce C-reactive protein, a marker of inflammation that cardiologists often use independent of other risk factors such as cholesterol, age and smoking. Meta-analysis is a statistical review of combined data obtained from multiple studies. A meta-analysis shows zinc supplementation had no effect upon blood cholesterol levels. [Atherosclerosis 2010] But lumping all zinc studies where varying doses of zinc were employed may confuse the issue. Of the 20 studies in one meta-analysis, 7 employed 100 mg of zinc or more which may induce strong binding of zinc to its binding protein (metallothionein) rendering it non-bioavailable. Fourteen (14) of the twenty studies utilized 50 mg or more of zinc. Different types of zinc were also employed. [Atherosclerosis 2010] This type of meta-analysis just leads to confusion. Whatever concerns there are over zinc/copper ratios and cholesterol, they don’t apply to children. [Journal American College Nutrition 1989; Science Total Environment 1985] The fact children are not accumulating iron in their growing years because most of their dietary intake of iron is being used to make red blood cells may explain why cholesterol is not a problem for children. Despite the promise of zinc therapy, more failed zinc studies are not difficult to find. Similarly, in 2006 researchers concluded that controlled trials showed that total cholesterol and LDL blood concentrations were unaffected by supplementation with up to 150 mg of zinc per day. They also reported that when zinc supplements over 50 mg/day were used, blood plasma HDL cholesterol levels declined. [Journal American College Nutrition Aug 2006] Their analysis left researchers confused and no conclusion could be drawn. Analyzing zinc intake levels or zinc blood levels without determination of copper status may be one obvious reason for the scientific confusion. There are other confounding factors. The adult human body contains about 2000-3000 milligrams of zinc. In a state of perfect health all minerals in the body bound to a protein. Copper is bound to ceruloplasmin. Iron is bound to ferritin, albumin, transferrin (during transport), lactoferrin (during infection), and melanin (in skin, eyes, brain). Zinc is bound to metallothionein (me·tal·lo·thi·o·ne·in). It is endogenously produced metallothionein that protects the heart from toxic drugs cancer-treatment drugs like doxorubicin. [Journal Clinical Investigation 1997] This suggests supplemental zinc should be given concurrently with toxic cancer drugs. Metallothionein, the ubiquitous metal binding protein, requires 7 molecules of zinc to activate and capture potentially toxic metals like copper, mercury, cadmium and lead. Another important mineral in the prevention of atherosclerosis may be selenium. Selenium increases the release of zinc from metallothionein. [Current Pharmaceutical Design 2008] A dietary shortage of selenium might explain why high-dose zinc studies often fail to lower arterial plaque. Of acute interest is the recent revelation that high homocysteine levels in the blood circulation impair the protective properties of zinc-controlling metallothionein and result in increased free (unbound) zinc. Homocysteine is an undesirable blood protein. Homocysteine targets metallothionein, which provides a plausible explanation as to why elevated homocysteine levels promote atherosclerosis. [Arteriosclerosis, Thrombosis & Vascular Biology, page 8, 2007; page 49.] B vitamins (B9 folic acid, B6 and B12) reduce homocysteine. A dietary factor called phytate (phytic acid or IP6) is said to impair the absorption of zinc. It is difficult to interpret the above report because dietary IP6 intake was deemed to be high but a plant food diet provides ~1500 mg of IP6 per day. Animals fed IP6 have strikingly reduced calcification of their aortas (first blood vessel outside the heart). [Frontiers Bioscience May 1, 2008] IP6 also binds to iron. So what are we to conclude? High/low dose copper, high/low dose zinc foster/don’t foster the development of atherosclerotic plaques in coronary arteries. What are we to deduce after four-plus decades of confusing research? Much of the scientific confusion emanates from animal research where non-physiological and frankly impractical doses of dietary fat or minerals are given to animals to produce a desired effect. Just how translatable the findings of these reports are to human health is debatable. The preponderance of the science suggests weak zinc levels in relation to copper foster the onset of atherosclerosis. It turns out George A Eby, a self-educated pharmacologist and world expert in zinc nutriture may have the needed answers. Eby and Halcomb write that among patients with angina chest pain there was no difference in blood serum concentrations of zinc, nor red blood cell zinc or hair analysis, whether they had accompanying atherosclerosis or not. But there was a major difference in zinc concentration in the aorta, the first blood vessel outside the heart (40.6 parts per million in healthy aorta, 19.4 in atherosclerotic aortas). The provision of high-dose zinc raised blood serum zinc levels from 95 micrograms per deciliter of blood to 177 micrograms, which resulted in objective improvements in 12 of 16 test subjects. Eby and Holcomb wrote that zinc prevents oxidation (hardening) of LDL cholesterol and halts the main mechanism of atherosclerosis. Zinc also blocks calcium and its stiffening of arteries. In stark contrast to current practice, high dose zinc should be considered as basic in the strategy of prophylaxis and therapy of the atherosclerosis process to terminate angina pectoris and restore youthful cardiac function. Eby and Holcomb assert that low-dose or poorly available zinc compounds (zinc oxide) do not reduce LDL cholesterol whereas high-dose zinc (50-300 mg/day) decreases HDL and increases LDL cholesterol in the blood circulation. You may need to read this again. LDL blood levels increase with mega-dose zinc. The elevated LDL blood level is due to the disposal of LDL. It is exiting the body. Eby & Holcomb turn zinc research upside down. At least in regard to mega-dose zinc, high LDL cholesterol blood levels after zinc therapy represents the disposal of cholesterol, not excessive blood levels of cholesterol. This changes the conclusions drawn from all of the prior zinc studies. Eby and Holcomb report of a patient with chronic angina of 15 years duration who experienced vanishing angina without the need for any medication. A similar result was experienced with another angina sufferer. These investigators suggested caution when taking mega-dose zinc. Therapy should not extend beyond 14 days and supplemental copper may be wise to prevent weakening (aneurysms) in arterial walls. Insoluble zinc oxide should be avoided. Other more soluble forms of zinc should be employed. What induced zinc widespread zinc deficiency in modern times? Copper pipes in plumbing began to be routinely installed in American homes in the 1960s. [Home Instructions] The World Health Organization recommendation is that copper in drinking water not exceed 2.0 milligrams per liter. [Environmental Health Perspectives 2004] The U.S. EPA maximum contaminant level goal for copper is (1,300 parts per billion (1.3 mg/liter) To picture this amount in your mind, one milligram/liter is equal to 4.5 drops in a 55-gallon barrel of water. [National Sanitation Foundation] Copper from plumbing may have altered the zinc/copper ratio in the diet. The widespread number of plagues released by zinc deficiency in modern times, which include autoimmune disorders, childhood behavior and learning problems (autism, dyslexia, etc. ), weak immunity and poor response to vaccines, premature aging, skin problems, and many other preventable human maladies, appear to have been induced by a change in zinc nutriture at some point in time. Bottom line: Modern medicine has kept the zinc cure for atherosclerosis hidden in the closet for over 40 years. In the adult years, particularly for males over age 40 and females approaching menopause, zinc supplementation is wise in order to maintain healthy arteries. Suggested dosage is 25-30 mg/day with accompanying vitamin B6 (no more than 25 mg) to increase absorption and 200 mcg of selenium to facilitate release of zinc from its binding protein (metallothionein). Zinc oxide, the most economical form of zinc, is largely insoluble and other forms of supplemental zinc should be used. Savvy readers may inquire about copper and its role in cardiac health. Copper is not always problematic in heart disease. Copper deficiency is alleged to be a primary cause of age-related heart failure. But heart failure is not atherosclerosis. Ischemic (oxygen deprived) heart disease is the leading cause of death in middle age and is a major obstacle to achieving longevity. There are numerous similarities between animals deficient in copper and people with ischemic heart disease. No other nutritional insult has produced such a demonstrable effect in experiments with animals; men fed diets abjectly low in copper have increased cholesterol, decreased glucose tolerance, and abnormal electrocardiograms. The process that results in ischemic heart disease is remarkably similar to that of copper deficiency. But heart failure is not atherosclerosis, which occurs in the inner lining of the arteries. But supplemental zinc can also be therapeutic for heart failure as well. When oxygen-deprived rodent hearts are injected with a zinc chelator (binder) they exhibit worse outcomes but zinc supplementation abolished the diminished cardiac function. [PLoS One Dec 15, 2016] Obviously, in cases of ischemic heart disease both copper and zinc are needed. ©2017 Bill Sardi, Knowledge of Health, Inc.